Macau remains a popular incentive destination thanks to a slew of old and new integrated resort (IR) developments that have kept business traffic coming back over time. And to remain at the forefront, the IR market has been constantly evolving and innovating to meet the increasing demands of luxe corporate incentives. 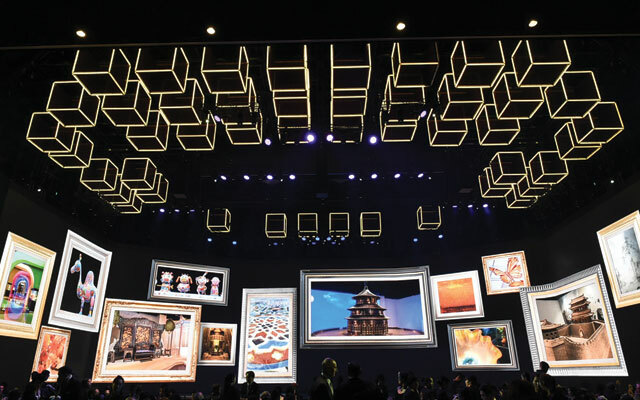 For instance, in addition to the ultra-luxury, Zaha Hadid’s Morpheus hotel (opened in June 2018), Macau welcomed MGM Cotai’s (opened in February 2018) striking jewellery box-design which houses dynamic theatre and entertainment facilities. The MGM Theater at MGM Cotai comes with a 900m2 4K LED screen – said to be the world’s largest of its kind. The theatre layout can be transformed to suit a group’s needs, be it for a gala dinner or a concert where 10 different seating configurations for up to 2,000 pax are possible. “After our roadshows, we realised that a significant number of corporate groups are interested in using our theatre for a mix of events,” said Victoria Fuh, MGM’s vice president of resort sales. Aside from the latest hardware, MGM Cotai is also running several promotions, such as a meeting experience which allows one to book a meeting space as well as accommodation at a special rate. The IR also offers art tours. Other players have also developed new ways to add value to events hosted on their premises. At Sands Resorts Macau, for instance, an on-site activity could include sunrise yoga or traditional Chinese taichi, held in one of the hotel gardens. Breakfast is taken care off as well. Other experiences that can be arranged include a Michelin-star street food experience in downtown Macau, and Portuguese cooking classes that incorporate a visit to the local market. According to Sands China’s vice president of sales, Stephanie Tanpure, high-end incentive groups are mostly from longhaul markets such as Australia, the US and Europe. She said: “While we capture medium- and large-scale incentive groups from across China and Asia-Pacific, it is the longhaul markets that are particularly drawn to the historical and cultural uniqueness of Macau. That is why the Sands Resorts Macau team works closely with event organisers to ensure multiple touch points are created throughout the incentive journey. “Incentive groups are an important segment of our business. Understanding what our customers want to achieve by hosting an incentive for their delegates is just as important as delivering on our integrated resort offerings. Once we understand what the objectives are, we encourage our team to personalise, anticipate and deliver,” Tanpure shared. Over the next two years, Sands China will transform the Sands Cotai Central complex into The Londoner Macao. Like its other properties, the Italian-themed Venetian Macao, and the French-themed Parisian Macao, this property will be English-themed, and feature new entertainment and dining attractions. By doing this, Tanpure believes that it will “offer huge potential for luxe incentives as we bring some of London’s most recognisable landmarks to Macau”. As for the 400-key St Regis Macau, a venue popular with high-end corporate incentives, its spokesman said demand is expected to grow, thanks to the large proportion of return customers from neighbouring cities. “With the opening of the Hong Kong-Macau-Zhuhai Bridge, we expect that to grow even more. Importantly, our efforts to push into markets including South Korea, Japan and India are beginning to show results, and we expect that growth to continue in the year ahead,” he said. MCI Group’s director of live communications, Olinto Oliveira, told TTGmice that luxury incentives is “definitely on the rise”, as more groups are willing to invest in an event if it means delivering a unique experience for their guests. This is where the IRs come in perfectly, Oliveira opined, as they possess a robust in-house entertainment team and are able to create special touches such as a private viewing of a show, or integrating a specific entertainment act into a lunch or cocktail event. All these touches allow for unique experiences available only at specific venues.